When you think of Bognor Regi, you'll most likely picture this beautiful seaside town bustling with locals and tourists. Owning a scooter in Bognor Regi is a great way to get around the droves of people if you have various spots to visit. Whether it is a date in any of the fancy restaurants and cafe or a picnic at the Hotham Park, owning your on scooter affords you the luxury of moving around town at your will. Easy to Learn: Learning to ride a scooter is so simple that you can learn the basics in one day. Faster in Traffic: Scooters can slip through tiny gaps in traffic a lot easier than cars would. Fuel Economy: In a busy town like Bognor Regi, fuel is pricey. As such, you would be saving a lot by owning a scooter in Bognor Regi since scooters consume less fuel. Price: At Direct Bikes, we offer the cheapest 50cc and 125cc scooters you will ever find on the market. Trust us when we tell you the figures won't get lower elsewhere. Insurance: Unlike other scooter dealers, we go the extra mile by helping you compare the best insurance deals for your scooter. Design: Our scooters vary in sizes, styles, and colours and are customisable to suit your preference. Noticed we don’t have a dealership in Bognor Regi? Not a problem! 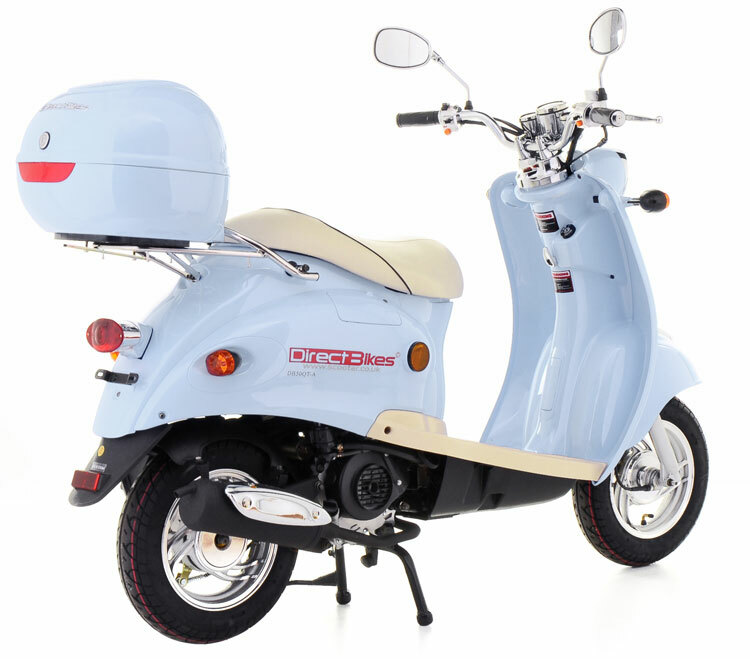 All you have to do is fill in your delivery details during payment, and we will get your scooter to you whenever you want and wherever you are in Bognor Regi.